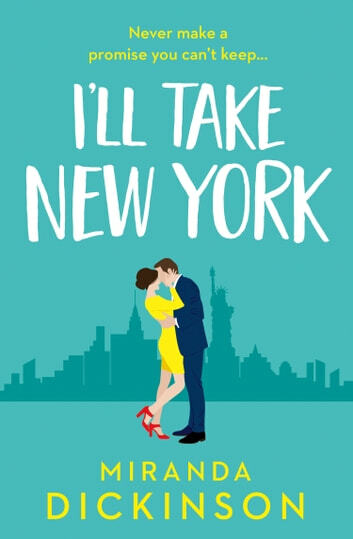 The author of the Sunday Times bestselling Take a Look at Me Now, returns to New York with her most heart-warming, romantic story yet. Have you ever given up on love? 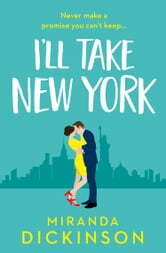 When her boyfriend lets her down for the last time, Brooklyn bookshop owner Bea James makes a decision – no more. No more men, no more heartbreak, and no more pain. Psychiatrist Jake Steinmann is making a new start too, leaving his broken marriage behind in San Francisco. From now on there'll just be one love in his life: New York. At a party where they seem to be the only two singletons, Bea and Jake meet, and decide there’s just one thing for it. They will make a pact: no more relationships. But the city has other plans . . . Pleasant and enjoyable. Easy to read, very good. The characters were believable and varied, a nice love story. This book was brilliant could not wait to go to bed to keep on rading it.i felt as if i was living it. A good girlie read. Lighthearted love, easy reading, all works out in the end. Thoroughly enjoyed it. I really enjoyed this book. It kept me wanting to read on! Good story linr Would definitely recommend!